“You work for just three days in a year?” – a question Singapore GP employees frequently face when meeting well-meaning associates. The reality is far from that. We chat with key personnel to find out what they do for the rest of the year in the lead up to Asia’s largest sporting and entertainment extravaganza, the Formula 1 Singapore Grand Prix. 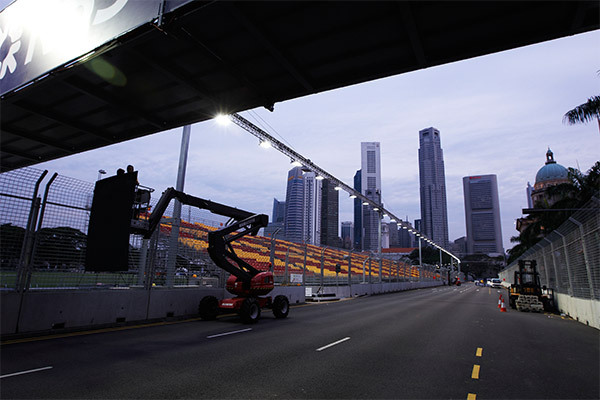 Held annually at the Marina Bay Street Circuit since the inaugural race in 2008, the home of Formula 1 night racing has attracted an average of over 250,000 spectators each year. 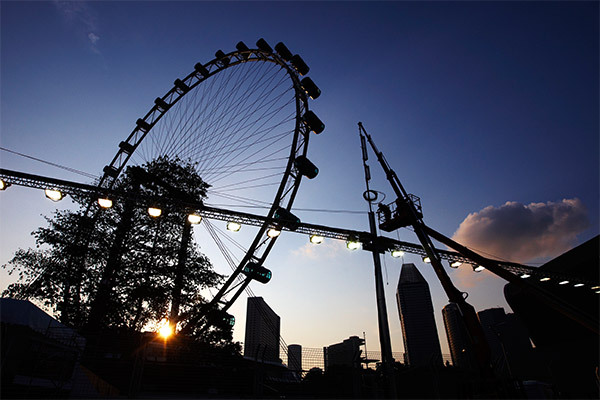 For Singapore GP employees, the three-day event is a year-long project to ensure the smooth delivery of the highly anticipated event. 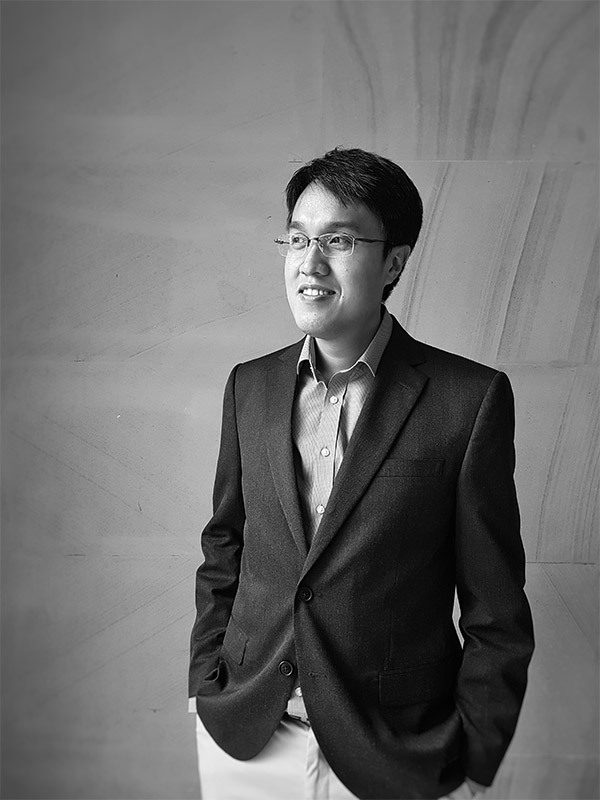 We speak to Christopher Choo, Assistant Director, Technical, for an insight of the mechanics behind the technical department. A holder of three Master’s degrees, Christopher has been involved in the FORMULA 1 SINGAPORE GRAND PRIX since July 2007 first at the Singapore Tourism Board before joining Singapore GP in February 2010 where he assists senior management on strategic issues, represent the organisation at stakeholder meetings and oversee race circuit infrastructure. What’s your typical day in the office like? There isn’t a typical day as our work year is split into four different phases – conceptualisation, planning, execution and teardown. Conceptualisation starts from November after we complete the teardown from the race. As we embark on a new term with Formula 1, there are new ideas we would like to explore and implement to enhance spectators’ experience. For example, the proliferation of social media usage has led to an increased demand for WiFi services around the circuit. We have continually worked on infrastructure upgrades and are pleased to be rolling out free WiFi for all hospitality facilities in 2018. Planning takes place for most part of the year. For this year, we are looking at maintaining or changing infrastructure that can last for the next four years. This includes refreshing the track barriers, refurbishing the F1 Pit Building, changing the track fences to improve fan experience and upgrading the fibre optic network around the track, allowing us to significantly shorten the installation period of the lighting system. On-ground execution for the race typically starts from May. 2018 will be slightly more challenging for the team because we are working on multiple upgrades, on top of delivering the typical race infrastructure. During this period, we are constantly out and about, ensuring the build is according to schedule while engaging various stakeholders and contractors throughout the day. Teardown takes place immediately after the chequered flag is waved. As the race takes place in the heart of the city, there are high public expectations for minimal disruptions. Most roads will reopen within two days while lane closures will cease by the end of the week. The entire process restarts as we plan for the race the following year. Tell us your typical day over the race weekend. The final track inspection is done on Thursday afternoon of race week with our track infrastructure team, race officials, Federation Internationale de l’Automobile (FIA) and Formula 1. The purpose is to look at further improving drivers’ safety by making minor adjustments to the TecPro shock-absorbing barriers, concrete barriers, fences and kerbs. Once these matters are addressed, we will receive the final approval from FIA after the track and systems test in the evening. The race weekend is particularly intense and we work 17 to 18 hours a day. Although the bulk of our work would have been done by then, we are on standby in the event of any racing incidents that may affect the infrastructure or to fix any technical issues that may arise elsewhere, such as the audio systems and superscreens throughout the Circuit Park. We usually end work at about 3am as this allows us to review plans with our contractors’ night shift teams in preparation for the next day. This could involve almost anything such as making minor adjustments to the race track, improving temporary walkways for patrons, checking on the WiFi coverage for corporate clients and repositioning facilities to improve camera views for TV broadcast. We start our day in the morning at about 9am where we review issues from the previous evening, and verify whether night works went according to schedule. The race weekend is also an opportunity for us to network with the stakeholders and members of the Formula 1 fraternity as we play host to the FORMULA 1 SINGAPORE GRAND PRIX. We see through the entire project from end to end. There is a stronger sense of accomplishment compared to other major projects because we can see our plans come to life within the same year. During the race weekend, the entire patron experience we offer is something that we are very proud of as it is truly an international event which appeals to a broad audience. What advice would you give to aspiring engineers? This applies to anyone in any industry – I believe one should always be proactive in your work, as well as to be open to innovate and experiment with new ideas. I started working on the Singapore Grand Prix by taking a leap of faith with limited knowledge of motorsports but have since grown tremendously on professional and personal fronts.